Galileo Rock has not only the right profile for the English St Leger but also the best form in the book out of the 14 runners that are likely to contest the Doncaster race. The English St Leger, the oldest of England’s five classics, is a fascinating race because it tends to pitch high-quality middle-distance runners versus those that have stamina-laden pedigrees and have been brought along slowly for the event. Galileo Rock is unusual in that he has a hoof in both camps, having competed admirably against the best of his generation and possessing a pedigree that suggests that he will relish the extended 14-furlong trip of the English St Leger. Not often does the highest rated runner turn up with no-one questioning his or her ability to run out the distance strongly. That is why Galileo Rock is a terrific betting proposition at odds of 5.00 with BetVictor to take out the 2013 edition of a race that dates back to 1776. 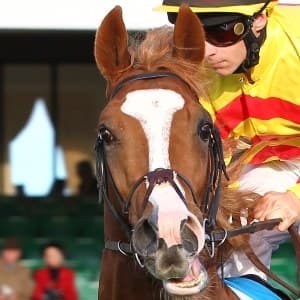 It is not a great concern that Galileo Rock has not won any of his four races since bolting in by seven lengths on debut at Leopardstown 13 months ago because all his runs have had merit, particularly his back-to-back English Derby and Irish Derby efforts over 12 furlongs. Galileo Rock raced keenly in the opening stages of the English Derby but still managed to finish third, one and a half lengths behind Ruler Of The World. The slowly run first few furlongs did not suit Galileo Rock so it was a very impressive performance. Four weeks later, Galileo Rock placed second in the Irish Derby, turning the tables on Ruler Of The World and Libertarian in an event that took place at a genuine pace. Trading Leather had too much speed for Galileo Rock in the final couple of furlongs but the former was bred to run 12 furlongs faster than the latter, who should love another quarter of a mile. One’s confidence in Galileo Rock’s ability to run a strong 14 furlongs comes from his dosage index. The dosage systems comes into its own when analysing top-class races that have lots of relatively unexposed runners running over extended trips. Galileo Rock has a dosage index of 0.78 because he has more stamina elements in his pedigree than speed elements. Galileo Rock has a total of 24 points across the dosage spectrum, which means that he is bred in the purple, and a -0.08 centre of distribution. That final number indicates that he has enhanced stamina potential. Of the 14 probable English St Leger runners, Galileo Rock has the fifth lowest dosage index. The dosage indices of the other contenders are: Excess Knowledge (0.49); Libertarian (0.65); Feel Like Dancing (0.67); Eye Of The Storm (0.71); Cap O’Rushes (0.87); Talent (0.90); Leading Light (0.96); Foundry (1.00); Ralston Road (1.50); Havana Beat (1.22); Great Hall (1.25); Secret Number (2.33); and London Bridge (2.47). The average dosage index of the last 19 English St Leger winners is 1.08, although the majority of champions have had a dosage index between 0.75 and 1.00. Purely on dosage index statistics, Galileo Rock appears to have the perfect blend of speed and stamina to win the big event. Excess Knowledge is vying with Galileo Rock for English St Leger favouritism having come through one of the standard trials, the Gordon Stakes at Goodwood. Excess Knowledge was an unfortunate loser of that race – he missed out by only a short head having been held up off a moderate gallop – but it does not seem right that he is around the same odds as Galileo Rock. Excess Knowledge has not performed to the same level as Galileo Rock and the former’s dosage index is very low, which means that he may be just a touch too slow over 14 furlongs when the whips are cracking near the finish. If there is value against Galileo Rock further down the English St Leger betting lists it could be the English Oaks winner, Talent, who is trading at odds of 17.00 with Coral. But the English Oaks form is not working out very well and fillies have an ordinary record in the event. Galileo Rock’s displays in two middle-distance classics and his dosage index mark out him as the English St Leger bet.